In case you're not aware (or have forgotten in the midst of seasonal celebrations and obligations) ABC is having a Once Upon A Time marathon on New Year's Day. Happy New Year! ABC is giving Once Upon a Time fans the chance to marathon several episodes on New Year's day, or giving newcomers to the show the chance to catch up before new episodes resume in January. 7:00 p.m. ET - Episode 3, "Snow Falls": At Henry'surging, Emma convinces Mary Margaret to pay a visit to a comatose John Doe in the hospital and to read to him from the storybook. But Mary Margaret is stunned at the outcome of her visit. Meanwhile, back in the fairytale world, Prince Charming meets Snow White for the first time in a most unexpected way. 8:00 p.m. 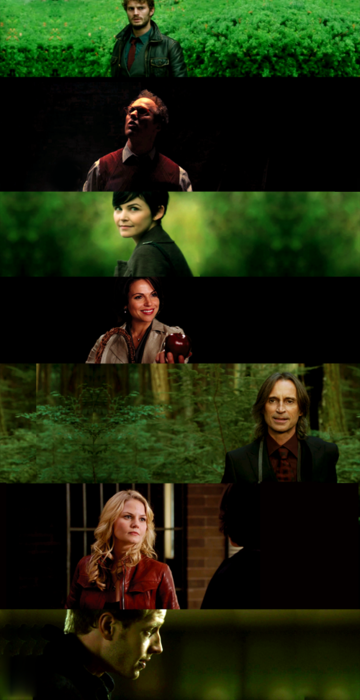 ET - Episode 4, "The Price of Gold": Emma tries to help a young pregnant woman escape from the clutches of Mr. Gold. Meanwhile, back in the fairytale world that was, Cinderella (Jessy Schram, "Falling Skies") makes a regrettable deal with Rumplestiltskin. 9:00 p.m. ET - Episode 6, "The Shepherd": David - aka John Doe - must choose between staying with Kathryn or leaving her to be with Mary Margaret, with whom he's fallen deeply, and inexplicably, in love; and Emma catches Sheriff Graham in a lie. Meanwhile, back in the fairytale world that was, Prince Charming is about to encounter a life-changing event that will forever alter his destiny. 10:00 p.m. 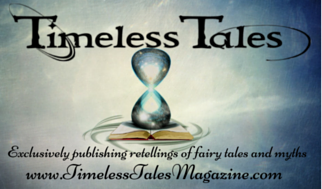 ET - Episode 7, "The Heart is a Lonely Hunter": One of the town's residents begins to remember their fairytale past, and Storybrooke mourns the loss of one of their own. Meanwhile, in the fairytale world that was, the Evil Queen attempts to find a heartless assassin to murder Snow White. 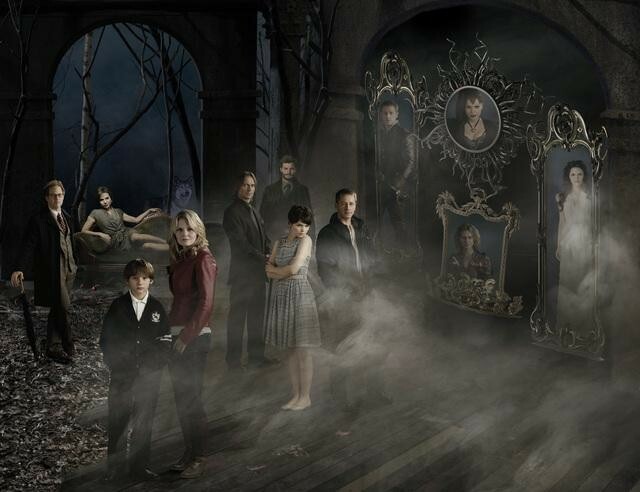 Once Upon a Time fans can also catch up on all of the episodes online at ABC.com. 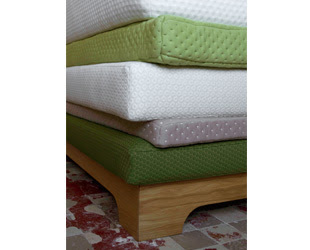 For more details,click here. Once Upon a Time returns with new episodes on January 8. There are numerous teasers and spoilery-type things out there about the next episode in case you are curious. 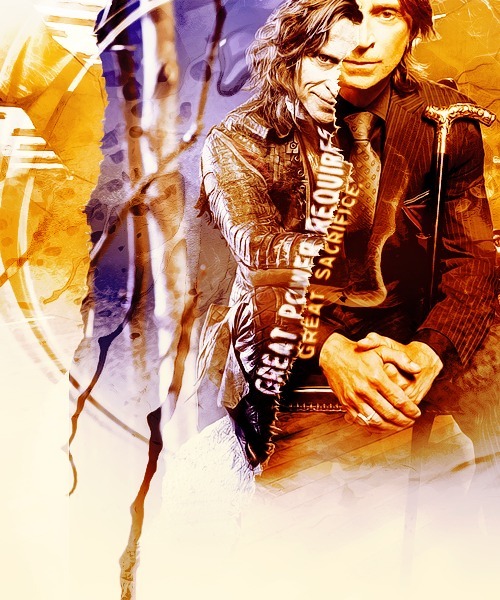 All I will say here for now is that Episode 8 is titled "Desperate Souls" and focuses on Rumpelstiltskin's story as well as the aftermath of the mid-season finale tragedy in Storybrooke. What a great opportunity to have a fairy tale start to your new year! I really like this take on a fairy tale themed room; something practical and functional without feeling like you've stepped into someone's outdated (and too young for the occupant) princess bedroom. 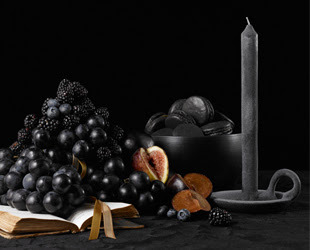 The design was a private client commission by a company called "Ontwerpduo" and, looking at their portfolio it's clear they like playing with design and taking some out-of-the-box risks without over saturating people in the concepts. 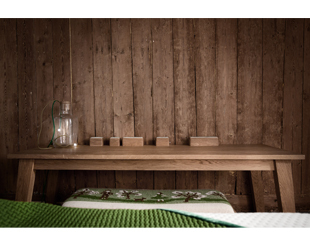 I really like the simple sophistication and nod to the natural as well as the magical. Once upon a time we were asked to design a room in an extraordinary house. A 16th century mansion in a beautiful garden with a long history made us feel like we stepped into a fairy tale. No wonder this became the theme for the design. 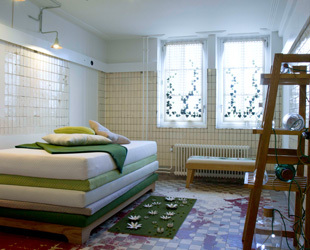 For this room we designed 10 pieces all based on different fairy tales, or themes from fairy tales, such as: the secret room, genie in a bottle, princess on the pea, sleeping beauty, etc. Room 407, a monumental room, which we organized with our newest designs. 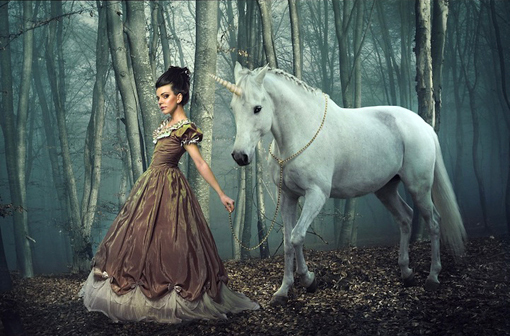 All designs are based on different fairy tales. The ceiling light and the curtains are overgrowing the room, like the roses overgrew the castle in ‘Sleeping Beauty’. 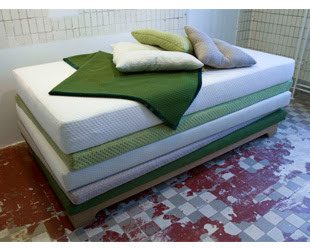 You can also find ‘The princess and the pea’, The ghost in the glass’, Little red riding hood’ and ‘The twelve brothers’ in the room. 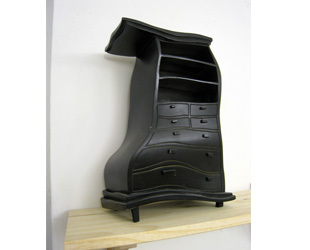 Objects are how we perceive them to be. Our minds make things what they are and for us this is reality. Think of a branch hanging in the water. We see, with the refraction of light, the branch under the waterline in a different angle. But we know that in reality the shape of this branch is different. We learned how to see the world. What if there was an instrument which would change the world into something that we find strange? And better, what if this instrument can also change it back? I really like the way these people think. They love to play and also have a lot of child-focused designs, meaning the designs are fun for kids but functional and practical (and chic looking) for adults. 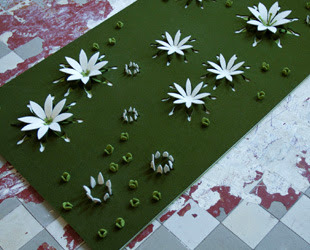 combining their sense of play with enchantment they dreamed up a lighting system called Light Forest, which you can make grow over walls and ceilings in any way you desire. 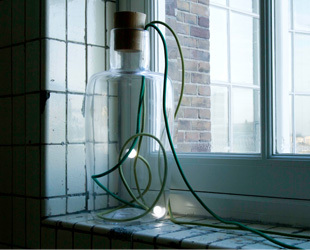 Light forest is a wall and ceiling lighting system. The possibilities are unlimited. 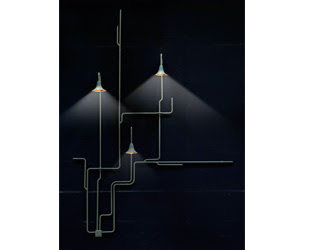 The design consists out of different parts, which can de connected to the wall and ceiling. Step by step the lighting system will "grow" across the space. I recommend also looking through the Garden of Eden indoor/outdoor furniture set photos too. Original source: HERE and official Ontwerpduo website HERE. 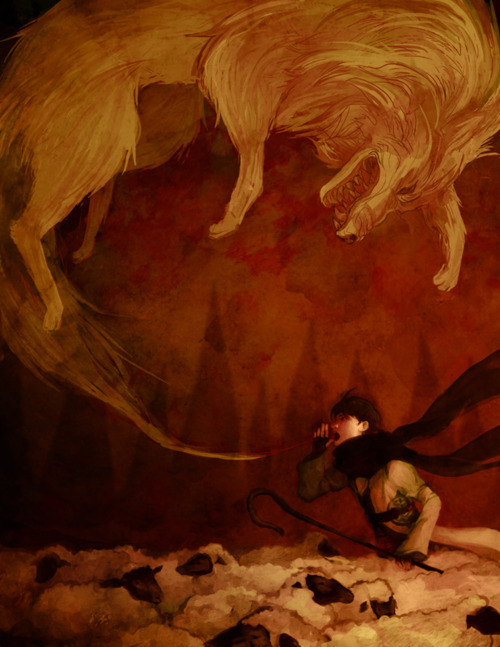 Since I was just looking up "The Boy Who Cried Wolf" I have to add these lovely illustrations I found. 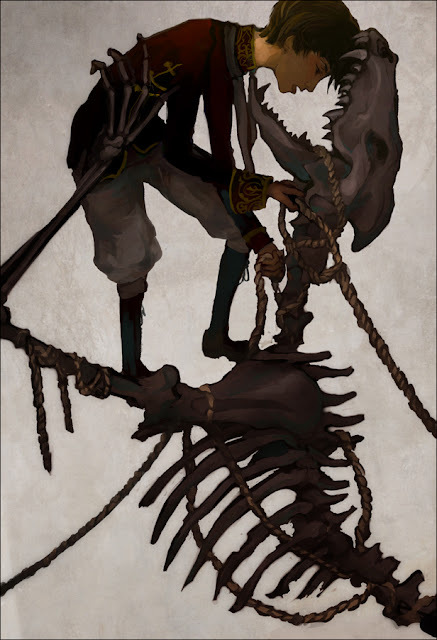 First, a very nice and different way to illustrate the gist of the story in a single image, by Angelica Alzona. I really like her Peter and the Wolf illustration too. 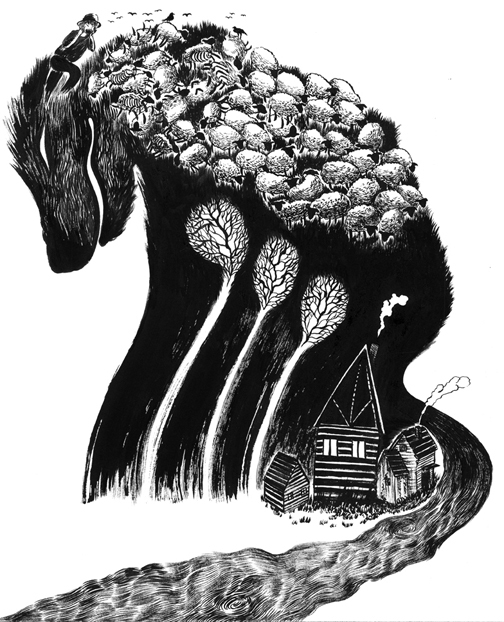 I also found an unusual ink drawing by Hye Jin Chung, who has some very different work on a blog HERE. 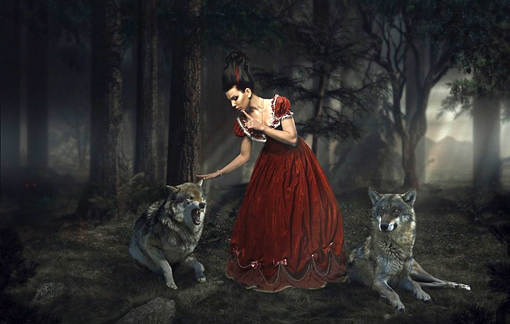 Nice to see fairy tale wolves in a non-Red Riding Hood context, don't you think? 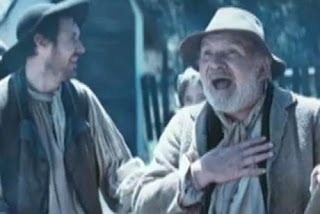 You may have seen the previous fairy tale ads for Sky broadband on the SurLaLune Blog (HERE) well now there's another to add to the collection, although technically it's a fable rather than a fairy tale. In time for a Christmas Day premier to advertise their Winter special is "The Boy Who Cried Wolf". 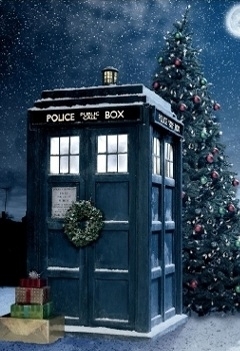 I have a confession to make: I'm not really a Doctor Who fan. I did watch when I was little with my Dad and although I loved Tom Baker with his crazy scarf and wild hair as the Doctor (yes, I'm showing my age!) certain episodes gave me nightmares and I didn't continue watching on my own. Fast forward through many years and a few attempts to see why people still loved it and... nothing. 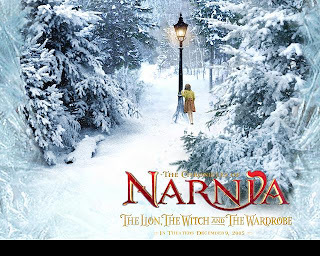 Like many fairy tale lovers the idea of anyone walking into a wardrobe makes my ears perk up and my heart quicken with expectations of winter wonderlands and magical Narnian* creatures waiting on the other side of a bunch of old coats. In fact, I was in the middle of restoring a rickety but "magical looking wardrobe"(complete with dryad shadows in the wooden sides!) when I got the call to move to the US. 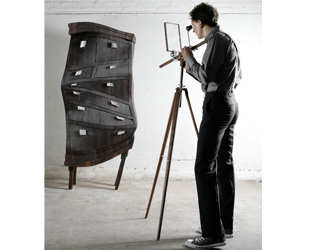 Not being hugely well constructed in the first place, I knew the wardrobe wouldn't survive a trip on a boat to join me on the other side of the world so I sadly gave it up, though I think about it often and wonder where it ended up. What does this have to do with Doctor Who? Well, I'm not calling myself a fan yet but when I heard Doctor Who was "heading into Narnia" (or at least a Doctor Who version of Narnia) I made sure I DVR'd the episode. I'm so glad I did! 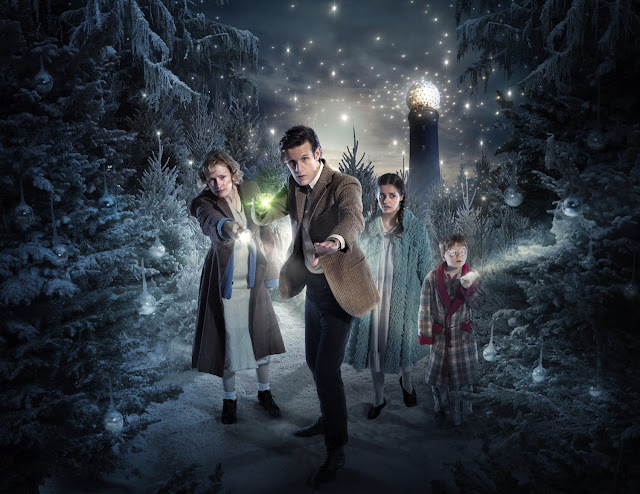 It's called The Doctor, The Widow and The Wardrobe and beyond the obvious hints towards the Narnia classic, we know Steven Moffat's tale is set during the Second World War when a widow and her two children flee London for Dorset. There they meet an eccentric caretaker and discover a portal into a winter wonderland. I finally got around to watching it today and... it's a must see for fairy tale people. Wonderfully and smartly written but with such a childlike spirit and it truly embodies the Christmas/season spirit - I'm impressed. Not only did the episode include plenty of magic, humor and a little sci-fi on the side but it managed to blend all the different season celebrations wonderfully and celebrate them all and their true meanings. No matter if you celebrate Yule, Hanukkah, Christmas or other old year/new year celebrations, this episode managed to pay a beautiful tribute to them all. You can get more of an idea of the episode HERE which is actually spoiler free. Though some of the visuals will give you clues it shouldn't take any of your enjoyment away from seeing it for the first time. Fairyland is mentioned (see below) and looking at some of the visuals you can see why. And I love the two lines from the episode that are written below. How can you not love the Doctor after he says something like that? 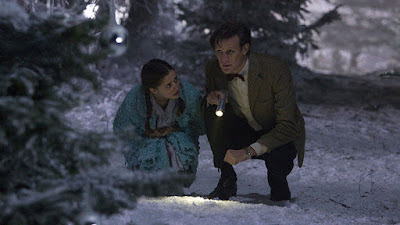 The Doctor: Fairyland?! Oh grow up Lily! Fairyland looks completely different. And if you've seen the episode and wish there were more to explore, there is! 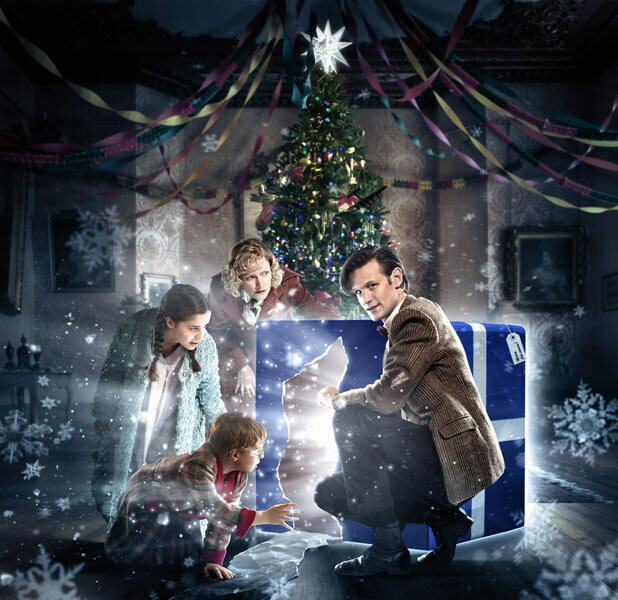 You can check out the current content at this site HERE - as of this writing it's all about the Christmas special - or start HERE which should be kept in the Doctor Who archives "for all time". 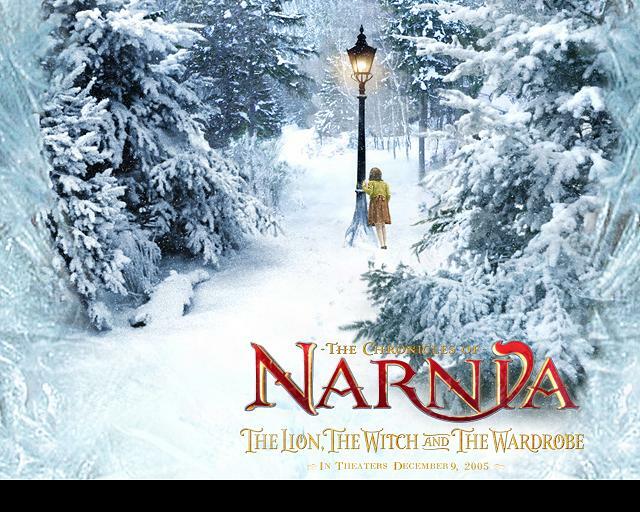 * Narnia - specifically The Lion, The Witch & the Wardrobe by C.S. Lewis, recently made into a lovely film. The BBC had a series made many years before but doing it again big budget style was worth it. I was pleasantly surprised by the film and loved seeing so many fairy tale creatures and connections on screen (eg The White Witch is easily inspired by the Snow Queen). Also: Stars like this: * indicate a corresponding additional note at the bottom of the page. There is a fairy tale opera scored by famous composer Czech Antonin Dvořák (in 1899) that has recently made a comeback in operatic circles and in February 2012, UBC (University of British Columbia) will be mounting their own beautifully lavish production. In Dvořák’s version, Rusalka is a water sprite that dwells in a lake. 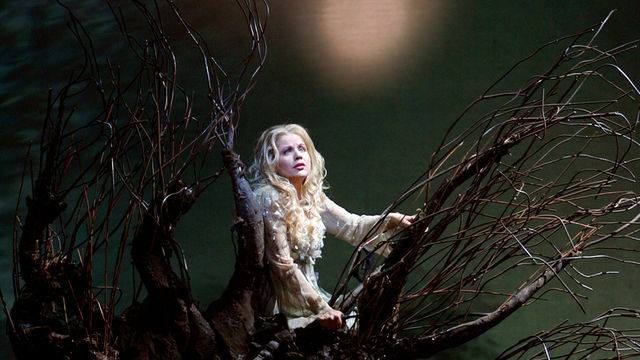 Rusalka has fallen in love with a mortal, a Prince who comes to the forest to swim in the lake. Since she is invisible to the Prince, she desires to take on human form in order to leave the cool waters and live in the sunlight with him. 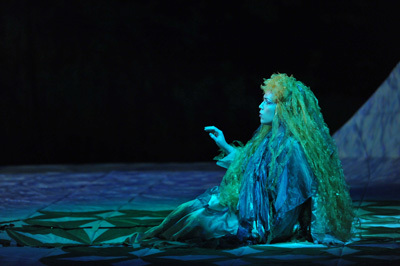 Rusalka’s father, the wise ruler of the lake’s underwater realm, warns her against such a transformation. Despite her father’s warnings, she seeks out the witch, Jezibaba, to fulfill her wish. 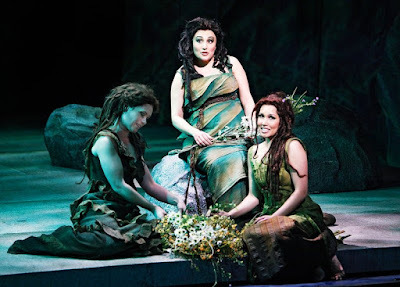 Rusalka’s desperate longing to experience true love plunges her into an emotional storm heightened beautifully by majestic melodies, including the famously stunning aria, Song to the Moon. 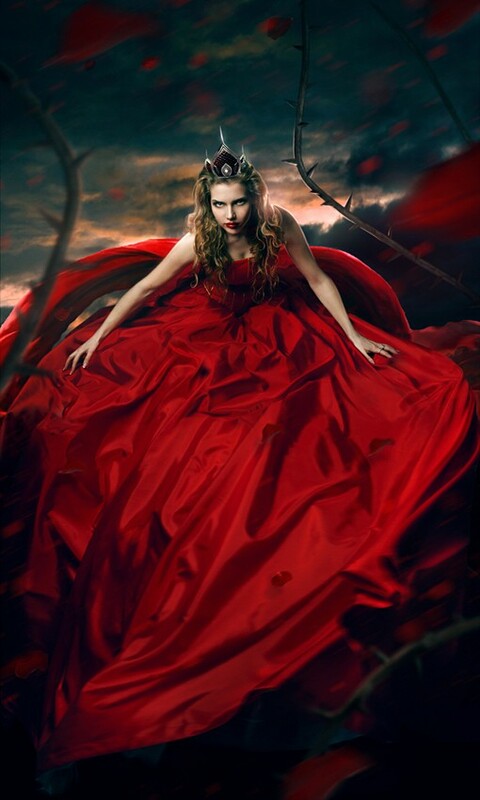 In the end, she must choose to make the ultimate sacrifice for love. 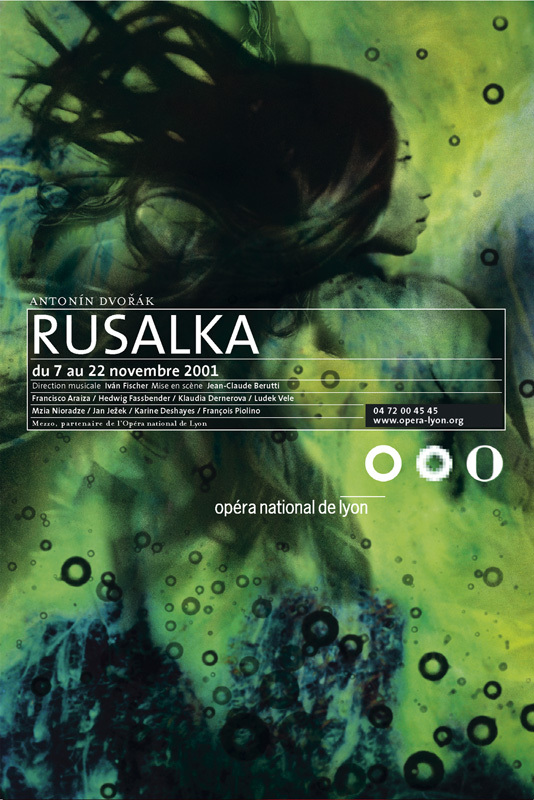 Rusalka is not only Dvořák’s finest and most enduringly popular opera but also one of the most deeply moving operas of all. Rusalka is based on the original Slavic fairy tale of the Little Mermaid. The story was later adapted by Hans Christian Andersen and then by Walt Disney Studios into the 1989 film. 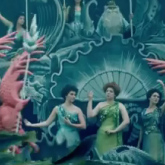 The problem here is that a rusalka is NOT a mermaid and should never be confused with one. There are similarities, such as rusalki (plural) are female water beings (or demons, since their agenda is usually seducing and drowning boys and men) which at first seem to have a lot in common with sirens, though they don't have fish/water animal tails. Rusalki are actually a type of ghost (ie. 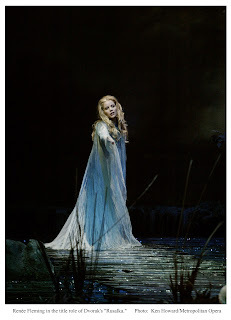 they used to be human) and the water-version of willis (another Slavic fairy/spirit seen in the story Giselle, the popular ballet first performed in 1841****). Willis and rusalki are essentially both female ghosts looking for revenge specifically against the men who did them wrong in life, though any man is considered fair game. Rusalka are not completely malicious though. They can find peace and stop their haunting once justice (or revenge) is carried out on their behalf. 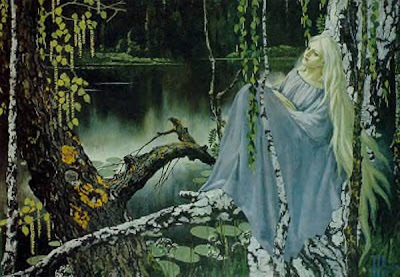 Andersen's Little Mermaid story (first published in 1837), however, is a lot closer to Undine* (or Ondine), than the beings of slavic folklore. While The Little Mermaid contains common fairy tale and folklore elements, especially those about mermaids, this fairy tale is the literary creation of Hans Christian Andersen. The tale has no direct oral predecessor in folklore. The closest percursor of the tale is Undine, a story by Friedrich de La Motte Fouque***. Andersen admits to his familiarity and consideration of Undine while writing his Little Mermaid. In many ways, his tale is a direct reaction to the earlier story. You can read even more on the tale with annotations and many more goodies on The Little Mermaid at SurLaLune with this in mind - in fact, please do! This gives me stronger footing to be skeptical of this opera's claim on Andersen as in all my reading on Hans Christian Andersen I'd never seen reference to him adapting a rusalka story into The Little Mermaid. The Czech libretto (for Dvořák's "Rusalka") was written by the poet Jaroslav Kvapil (1868–1950) based on the fairy tales of Karel Jaromír Erben and Božena Němcová. 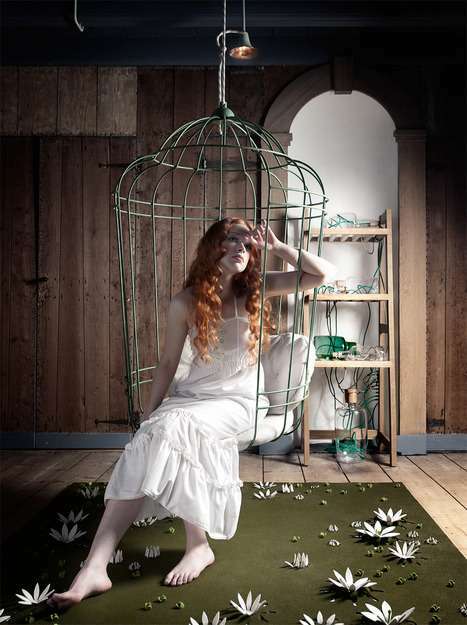 For a completely different variation on the theme how about this one presented at the Munich Opera Festival this past July, which features a girl in a fish tank? This version has been updated and interestingly twisted in the retelling, causing quite the stir. Rather than distract further from the current post I'll just let you find out for yourself if your interested. The link is HERE. Dvořák's Rusalka is one of the more romantic stories I've seen involving a rusalka. Usually they're a little more blood thirsty and dark but the emphasis here is definitely more toward "girl from one world seeks to be with her love from another", rather like some selkies (though not all), swan maidens and, yes, little mermaids. I have a feeling that although there was some influence between writers and artists at the time, it doesn't seem to account for all the various being produced in different places. It's one of the reasons I've put in so many of the connected dates for various works - to see if you can "unriddle this riddle" a little yourself. Looking at the timeline is very interesting. Perhaps it's a case of "1800's fairy tale zeitgeist" specifically centered on tragic rusalka figures and other water beings such as mermaids. Considering what we're seeing happening in 2011 and 2012 in TV and movies (and even more specifically with Snow White), I wouldn't be at all surprised. This is not an illustration. 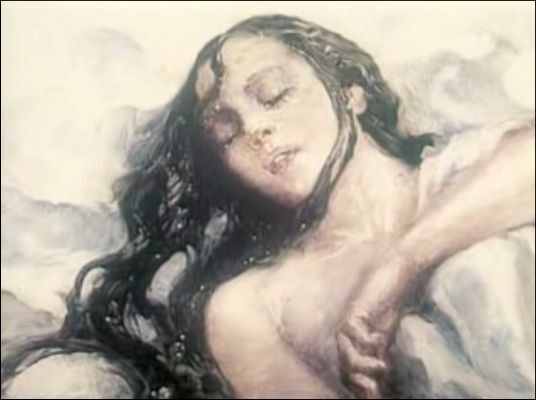 It's a "still frame capture" from the 1998 Oscar nominated animated short film "Rusalka", detailed below. There is one other important related video I'd like to bring to your attention and that's the 1997 gorgeously done animation of Aleksandr Petrov using an incredible (and almost unbelievable!) technique of oil paints on glass for his separate images. 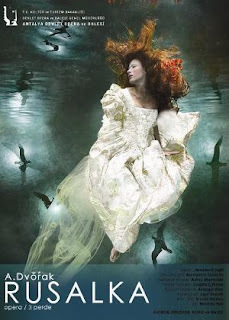 The story is based on a work by Alexander Pushkin from 1819 (it is thought - Pushkin wrote two different Rusalka poems**) and the title is simply "Русалка" or "Rusalka", though it's been mistranslated as "Mermaid" in many places and is completely mesmerizing. It's easy to see why this short had an Oscar nomination in 1998. There is a wonderful and in-depth blog post HERE about Aleksandr Petrov's film and about rusalki which I highly recommend. It includes Pushkin's poem and explains things in a very easy-to-read manner. 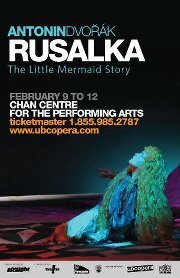 Performances of the UBC production Rusalka begin on February 9th, 2012 at the Chan Center for Performing Arts in Vancouver. You can find more information about it and the artists involved HERE. *Which was beautifully illustrated by Sir Arthur Rackham. Some of my favorite fairy tale illustrations of all time are Rackham's Undine drawings. Today's bonus: a video of Rackham's Undine drawings, including the cover of the book. Enjoy. ** Pushkin's second but unfinished poem bears a strong resemblance to the opera which is the subject of today's post. 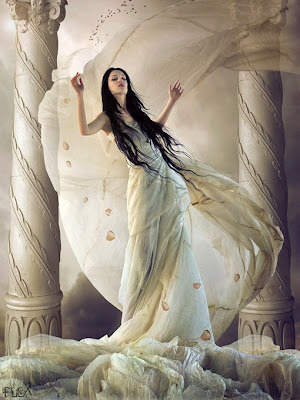 *** Undine, a story by Friedrich de La Motte Fouque is from 1811. 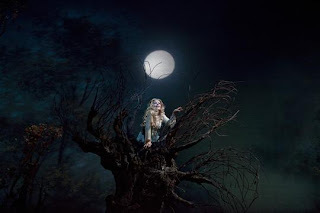 **** The ballet Giselle debuted in 1841 and was based on at least two other works: De l'Allemagne by Heine, written in 1833 and Victor Hugo's Orientales published in 1829). 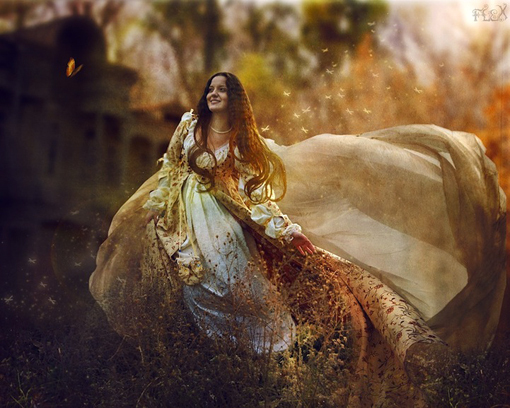 Irina Istratova is an artist from the Ukraine who has a preference for the dark side but this photographer/photomanipulator/digital artist has also produced some lovely fairy tale-like pieces. 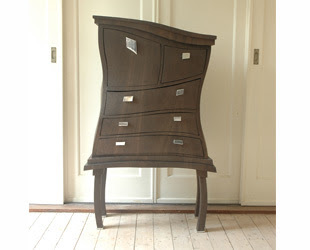 You can see more of her work HERE and HERE (but of course, remember you will see some 'dark' work there too). A Very Merry Fairy Tale Christmas To You All! Su Blackwell Designs Sets For "The Snow Queen"
Red Riding Hood Cosplay: Are You Afraid?